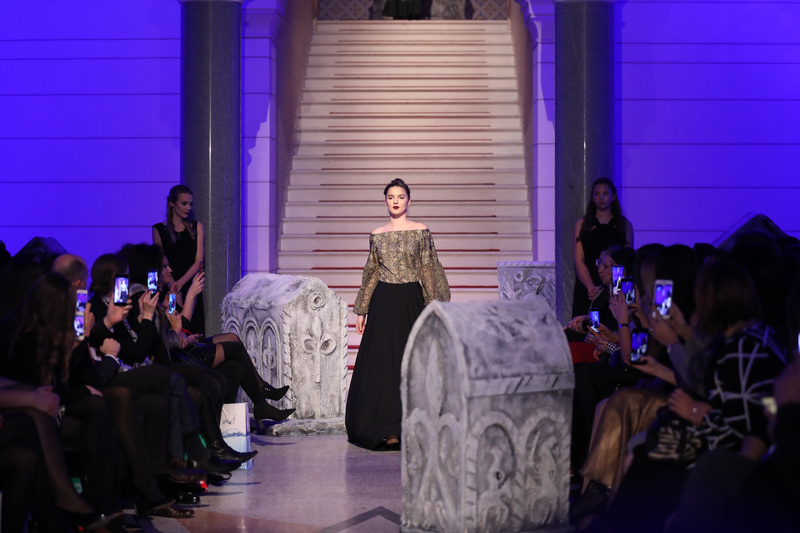 "Elizabeth of Bosnia" is the artistic fashion show presenting a new collection of the well-known BiH designer Adnan Hajrulahović HAAD. The collection consists of designer clothing inspired by the queen Elizabeth of Bosnia and her time, but also synchronized with a modern age, while the stylistic figure, colour and texture remain consistent with her time. "Elisabeth of Bosnia" is a project designed to celebrate the role of women in our societies and reinforce a sense of belonging to common European space. The show took place in the famous "Vijećnica" (Town hall) in Sarajevo, the reconstruction of which had also been enabled with the EU support. It was widely covered by media and very well received by the public as Mr HAAD demonstrated that cultural heritage was a driving force for the creative sector and not only "a thing from the past", but rather something evolving through our engagement with it.